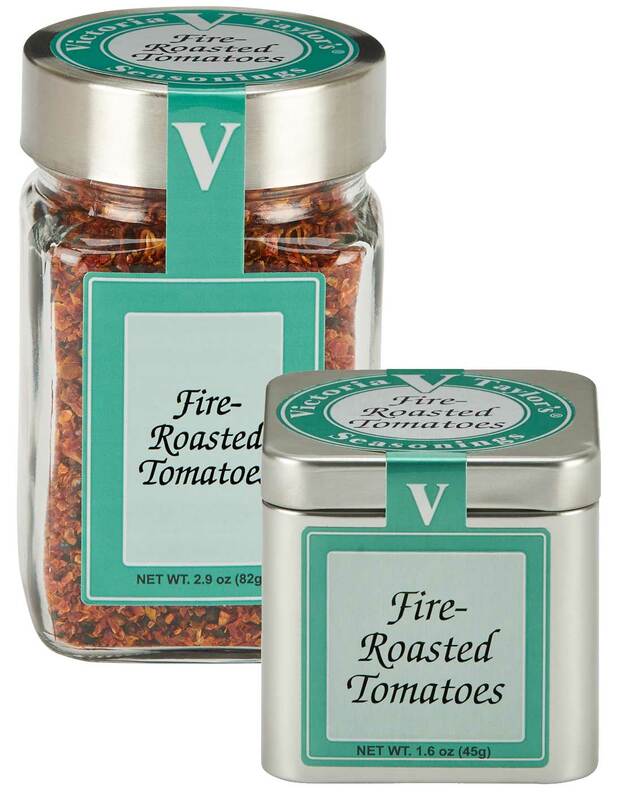 Victoria Taylor's Fire-Roasted Tomatoes are sweet with a touch of smoky flavor, making them a perfect addition to Mexican dishes, chili, soups, salsas, dips and salad dressings. Add a few teaspoons to your favorite vinaigrette for a smoky-sweet twist on your traditional recipe. Victoria loves this ingredient as a delicious substitute for sun-dried tomatoes.